We, the undersigned members of the Palestinian Human Rights Organizations Council (PHROC), prompted by the current funding crisis faced by the United Nations Relief and Works Agency (UNRWA), take this opportunity to state our grave, collective concern at these deeply troubling developments, and to call for both the immediate introduction of fair and effective remedial measures, and an urgent rethink in the approach employed by the United Nations and the international community towards the protection of Palestinian refugees; a community now numbering in excess of 7 million people. This chronic funding shortfall in UNRWA’s core budget, necessary for running its essential programs, currently stands at US $101 million (this amount does not include the budget required for supplementary programs and projects of UNRWA). This has resulted, inter alia, in the suggested postponement of the academic year for half a million Palestinian students across the Middle East - among them, 320,00 students in the occupied Palestinian territory (oPt) - and a possible implementation of mandatory unpaid vacation for roughly 23,000 employees (60% of whom are in the oPt) . Without prejudice to UNRWA’s employees’ rights and demands, it is wholly unjust for refugees to bear the consequences of UNRWA’s budget crisis, and access to education is not just a basic human right, but a crucial building block of a healthy, stable and functioning society. Delivery of education, therefore, is of no less importance than that of other essential humanitarian services, with the postponement of the academic year representing an individual tragedy for students, but also an indirect form of punishment for the Palestinian people. As such, the implementation of such emergency administrative measures by UNRWA represents an infringement of the human rights of refugees, as well a clear deviation from UNRWA’s mandate. In addition, this funding gap will place further strain on host states which are themselves operating at full capacity and suffering from chronic underfunding in their protection of refugees. Not only does this harm refugees in practice, but it also sets a dangerous policy precedent insofar as UNRWA is able to gradually divest itself of its responsibilities towards those to whom it is mandated to provide services. Indeed, this mandate in its present form is already narrower in its understanding of ‘protection’ than that afforded by international law. Hence, it must also be emphasized that international protection should be deemed to include physical protection (that is, the provision of safety and security), legal protection (ensuring fundamental human rights, including accountability and the non-repetition of international crimes particularly, in the Palestinian case, those of forcible population transfer and deportation), and humanitarian assistance (including the provision of relief, shelters, health care and essential education). Despite this narrowly-interpreted mandate, however, the importance of UNRWA to Palestinian refugees must not be underestimated. In field research conducted with Palestinian refugees in 2015 throughout the West Bank, Gaza Strip, Jordan and Lebanon by the BADIL Resource Center for Palestinian Residency and Refugee Rights (BADIL), a lack or absence of humanitarian assistance was identified as the most pressing protection gap, whilst 89% of those surveyed across all four regions stated that this gap had a significant impact on stability in the Middle East generally. UNRWA’s leading role in addressing this gap is thus of extreme importance, whilst awareness of the agency among Palestinian refugees is widespread. Moreover, the perceived effectiveness of UNRWA in addressing this humanitarian assistance gap is notably high, particularly among those in the Gaza Strip and the West Bank. 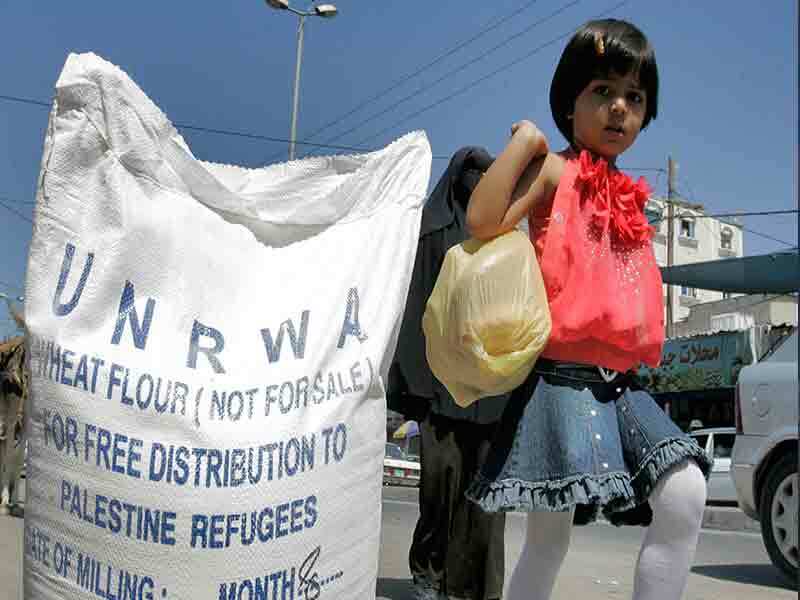 Accordingly, that UNRWA must fulfill its mandate is an essential starting point in any discourse pertaining to the ongoing plight of Palestinian refugees. To this end, enabling UNRWA to provide essential services is the responsibility of the United Nations and third party states; not that of host states or refugees themselves. PHROC members, therefore, reiterate the great importance of UNRWA being adequately funded so that it may both fulfill this essential mandate and avoid overburdening national governments. It naturally follows, then, that the address of this funding crisis – resulting from a gross shortfall in voluntary contributions from member states, combined with an ever-growing Palestinian refugee population, a deepening level of poverty within this population, and an absence of the international protection to which Palestinian refugees are entitled – be treated as a top priority for both the UN General Assembly (UNGA) and the Secretary-General. Yet, recent developments highlight that the present crisis goes far beyond the issue of cash flow, and instead reveals an approach to the protection of Palestinian refugees which is fundamentally flawed and entirely unsustainable. The pressing question must surely not be how the steady increase in demand for essential services can be met, but rather how this demand can be reduced. This necessitates the implementation of a durable solution for more than 7 million Palestinian refugees in accordance with international law and UNGA resolution 194 of 1948, and United Nation Security Council resolution 237 of 1967. Reduction in demand also necessarily includes the tackling of secondary displacement from host countries, which have – as witnessed in Syria and the Gaza Strip - generated mass human suffering and placed a steady drain on already scant humanitarian resources. To this end, Palestinian refugees have become the victims of a collective short-sightedness, manifesting itself in a protection approach which focuses on tackling ever-worsening symptoms at the expense of any concerted effort to address the root causes of the displacement or to facilitate a fair, just and durable solution to this most protracted of refugee crises. Such a solution demands the marrying of humanitarian and legal responses, bolstered by full political support. This need was recognized by UNGA in the immediate aftermath of the 1948 Nakba, and reflected in the Assembly’s subsequent establishing of a complementary configuration, or special regime, of UN agencies - consisting of the United Nations Conciliation Commission for Palestine (UNCCP), the United Nations High Commissioner for Refugees (UNHCR) and UNRWA - to ensure the protection of Palestinian refugees. This regime has been allowed to fail by the international community, firstly through a lack of meaningful support for UNCCP and its mandate to pursue a political solution to the Palestinian refugee crisis, but more recently through a collective failure to ensure just and consistent application of Article 1(D) of the 1951 Refugee Convention in domestic courts, and this present chronic shortage of funding for UNRWA. What is required is a just and durable solution which identifies and addresses the causal factors underpinning both the continued displacement of Palestinians and the worsening living standards to which this population is subjected; a solution which sees the inalienable rights of Palestinian refugees not just recognized in word, but enacted in deed. This can likely only be achieved through the presence of a fully-functioning and fully-supported agency dedicated to pursuing such a solution. Thus, there is a clear and pressing need to either revive UNCCP, or to officially extend UNRWA’s existing mandate. Recent research by BADIL reveals that this latter option enjoys strong support among Palestinian refugees, particularly inside the West Bank. 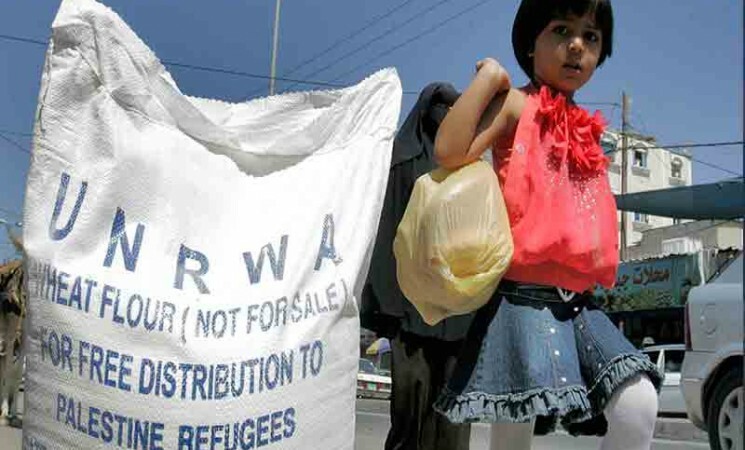 Until such a solution is implemented, however, the role of UNRWA in providing key services to Palestinian refugees remains absolutely essential, and it is a role which demands prompt and adequate funding. Whilst the funding crisis endures, so too will the multitude of hardships faced by Palestinian refugees. The UNRWA Commissioner-General to reconsider the agency’s existing focus on implementing emergency measures and cuts in essential services, and instead focus on identifying long-term sources of funding to bridge this shortfall.